A personal injury can be classified as many things. A personal injury could be a physical injury such as whiplash or broken bones, or it may be an illness you have caught or even a disease, and not all personal injuries suffered are physical. Some people suffer from psychological injuries or illnesses. In the worst cases personal injuries can of course be fatal. 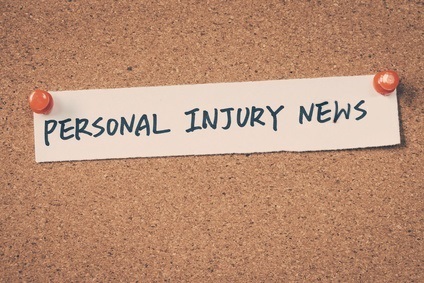 What Personal Injuries Can You Claim Compensation For? There are also numerous ways or situations that you might be affected by a personal injury that will call for you to make a compensation claim for your injuries sustained. You could have an accident at work or even become ill due to diseases caused by working with harmful or dangerous materials such as asbestos. The are slip, trip and fall accidents where one might trip on an uneven pavement or slippery surfaces for example. You could become injured due to faulty or dangerous goods or products that you have purchased. Physical or psychological injuries that have happened due to a crime that has taken place, even when you may not be the direct victim. You might suffer from whiplash from a road traffic accident that was caused due to the negligence of another driver. The list of accidents that people can make a personal injury claim for really is an extensive one, and if you or somebody you know has been affected or even died from a personal injury there will be some things you will want to think about first and foremost. Do you think that somebody else was responsible for your accident, disease or psychological state and should be held accountable? Would you like to make an accident compensation claim to help cover any losses that you may have incurred due to your situation? How is your financial situation, and how has it altered because of what has happened and do you need help? How are you coping with your situation, and do you feel some professional support or counseling would be of benefit to you? When an accident or personal injury has happened to you or somebody that you know, the first thing you need to do if possible is to gather as much information about the accident/injury as possible. Even if you don’t currently plan on taking legal action you never know what might change so gathering evidence such as any eye witness statements, photo evidence, video evidence etc should be carried out, and as thoroughly as it may be. Not everybody will want to file an accident claim/personal injury claim, but if you feel there is just cause then having the right help should make the accident claims procedure quite straightforward. A lot of personal injury solicitors do offer an initial consultation for free and they can give you the best answer as to whether or not you can make a justifiable claim. Once you have found a solicitor that specialises in personal injury claims if you don’t already have one then they will require some details from you to understand your case. Where, when and how the accident/injury occured. Details of any medical diagnosis plus medical treatments you have received because of the injury. Contact details of any eye witnesses to the injury. Other information will also be extremely helpful, and probably asked for such as proof to any loss of earnings, insurance policies you have that might cover any legal costs for the accident claim, any expenses you might have already incurred because of the injury. When your personal injury solicitor has established you can indeed file a justifiable claim, they will be able to give you their expert advice on the probability of your case being successful and if it is what amount of compensation you might be entitled to claim. Once you have decided with your solicitor to proceed with the claim they can then explain to you the legal procedure of filing a personal injury compensation claim, including what costs are involved and how you fund those costs. A lot of people will take notes during your meeting as it can be quite intense and hard to remember everything that has been said, but it is also wise to get your solicitor to write you a letter as a summary of any advice they have given you, just to confirm important details. Once you are happy you have chosen the right personal injury solicitor and you are happy to proceed with your accident claim then the actual compensation claims procedure shouldn’t hold any surprises. If you would like more detailed information we recommend visiting the following link to accident claims advice.